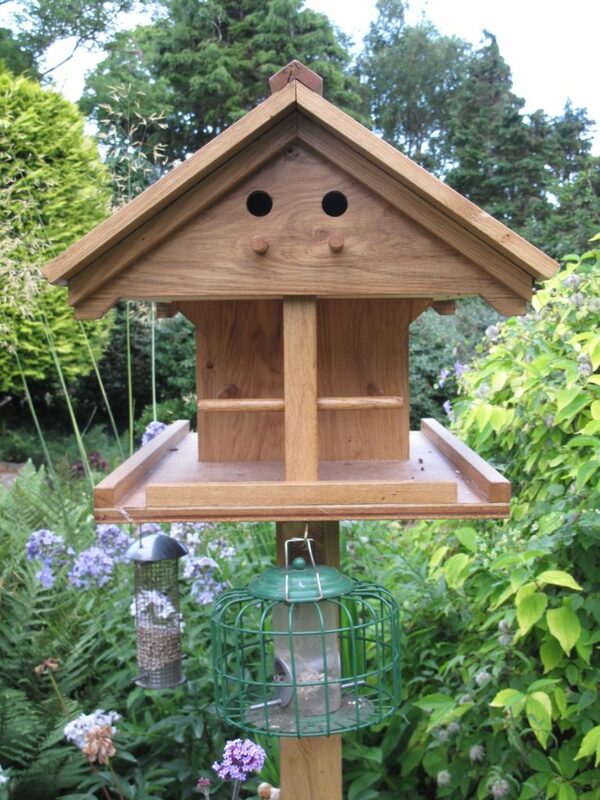 Home / Blog / Tables – It’s been a busy month for us at the sawmill! 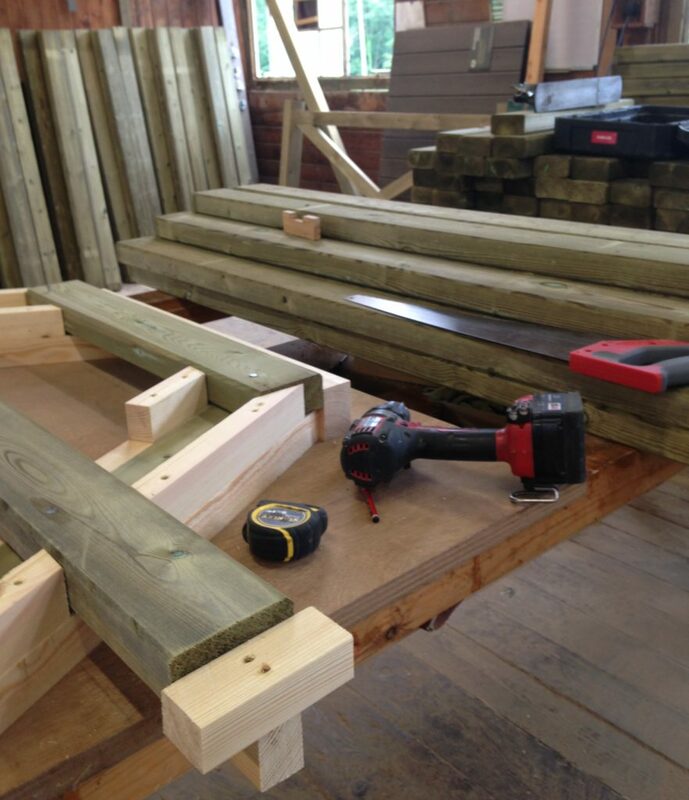 Tables – It’s been a busy month for us at the sawmill! This month has seen us making a variety of different tables. 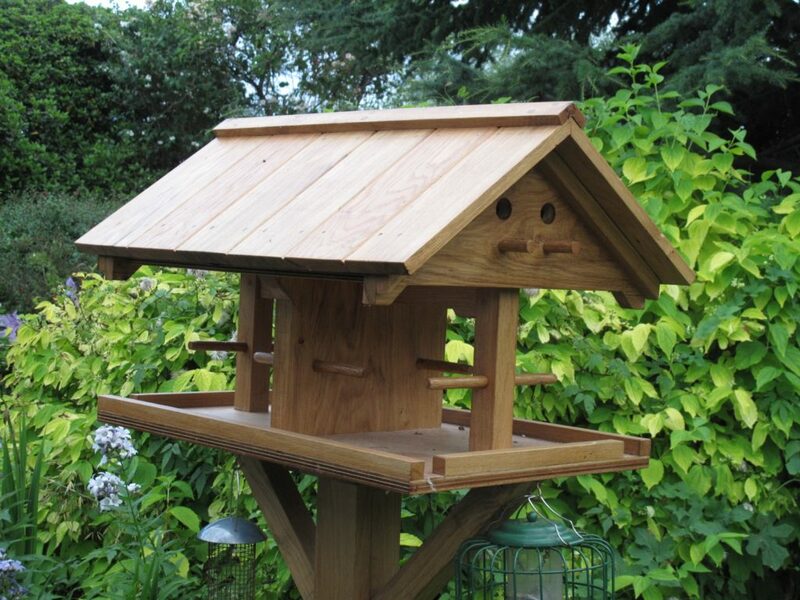 We have made this beautiful oak bird table for a famous celebrity chef – we hope it entices many different species of birds to his garden!! Made from oak, this stunning table is not only practical, but is a stunning feature in any garden. 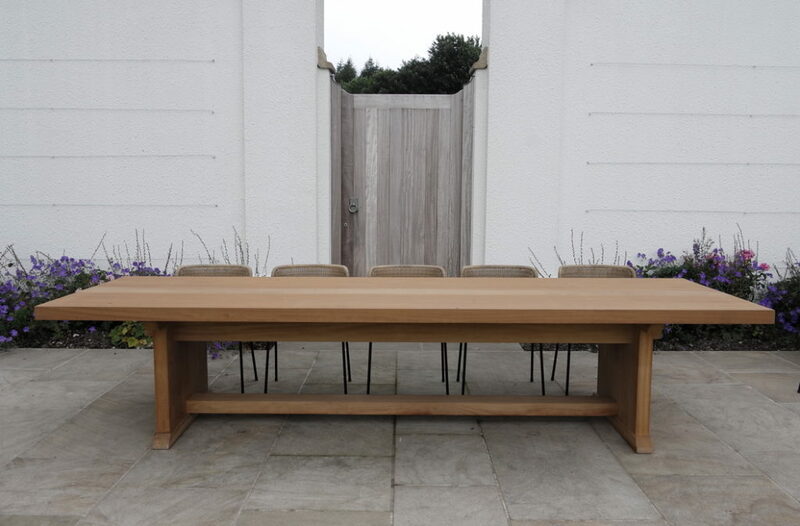 Another client asked us to make a contempoary iroko table for their garden to their design and measurements – we hope you agree with us that it looks amazing with it’s simple sharp lines! 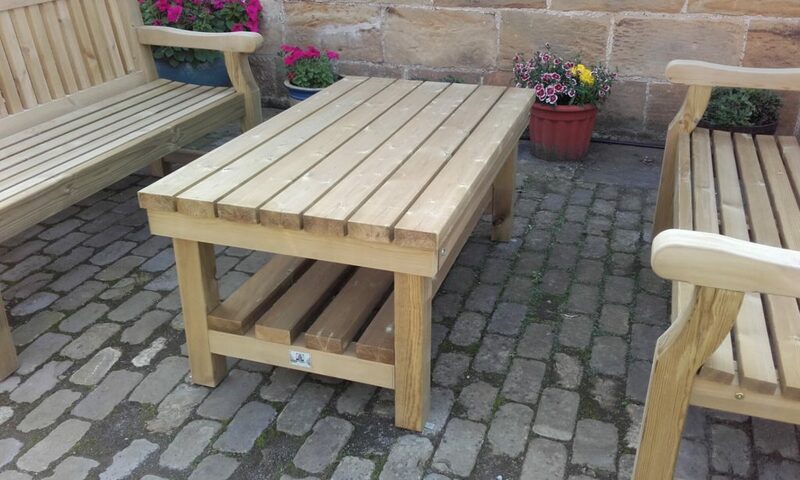 We have made smaller tables in softwood for another client – he bought two benches from us and ideally wanted a table that would fit between them – so we made him one! The RHS garden, Harlow Carr in Harrogate, also ordered a number of picnic tables to use in their garden, which is open to the public. Our picnic tables come with a 5 year guarantee and are so solid that they will not tip up. 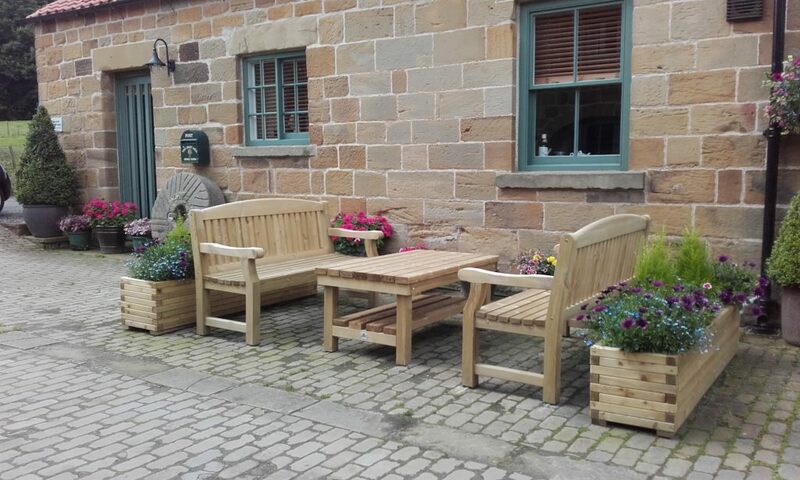 We really enjoy making bespoke and one-off timber items – for more information on our bespoke products, please click here.